Will this crash on the M62 in West Yorkshire affect your commute home tonight? 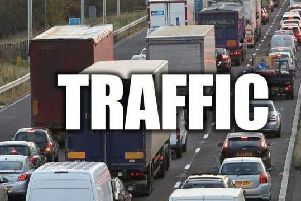 Three lanes of the M62 are closed as emergency services deal with a collision between a HGV and a car. It is on the M62 westbound between junctions 29 and 28 which are the M1 and Tingley turn-offs. Highways and police officers are on their way to the scene and delays are expected.